Newly established Center for the Study of Islamic law and ethics in Qatar, than raising the amount of attention Islamic behaviors applications. Christoph Dreyer in dialogue with Jasser Auda, deputy director of the Center for the Study of Islamic legislation and ethics in Qatar. Started the Center for the Study of Islamic legislation and ethics at the beginning of this year, his work, and you occupy a position of Deputy Director. What’s the need for a such a center? 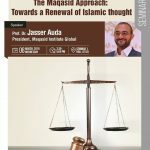 Jasser Auda: the idea of renewal lies behind the center, as you need Sharia Islamic values and principles to a new momentum, as not being in the Islamic emphasis on the moral dimension enough. The concepts of morality in Islam too abstract and not based on the application of enough to serve as a set of rules adopted, because the word of legislation in Islam means a set of ethical rules more than they are meant system of laws in the modern sense of the word. We seek to identify the point of interest: Is our attention on the monument of Islamic texts or on purpose. We focus on the purposes and not to give Islamic law texts force needed to keep up with current shifts and meet the aspirations of Muslims and non-Muslims in the contemporary world. What is the role played by the concept of ijtihad as the concept of self-deriving legitimacy rulings from the Quran and Sunnah? This is exactly what we are trying to do. Judgment can not be based on a modern sacred texts, but it should take the reality of people’s lives into account also, and must be based on the text and context. We are entering in the context of ijtihad, so that it comes not only linguistic and interpretation of the text, but goes beyond that to include that we offer various social sciences and natural sciences of knowledge. This approach is not new, but we know of a new modern concept. How can apply this approach on the ground? For example, close to a lot of Islamist politics in these days through the literal text, whether it’s through scripture or in historical texts sometimes too. They believe the possibility of the construction of the caliphate as it was in the era that followed the Prophet Muhammad. But if we look at the substance upon which the succession, we find that the destination state based on justice, ie if we look to the purposes “of the Islamic state,” ie, to justice, to become able to modern state that takes the form of state is the separation of powers and enjoying the presence of various institutions . However, if we dealt with the text literally and sought to build a state very similar to Islamic countries that existed a thousand years ago, and there will be a setback in justice and freedom. As is the case on other issues, such as women’s rights and human rights. And if we focus on the Qur’anic message the judge for mercy and affection, we will be able to deal with the issues of the day better. This applies in particular to the issue of politics and women in Islam, as well as on the overall human rights and citizens’ rights, two issues Mvsalitan in the present debate on reform. Why these two areas in particular? The politics and women in Islam Mlaian historical Baltrakip that do not necessarily correspond with Islamic ethics, the Quran describes the marriage between men and women, for example, as a relationship based on love and compassion. This is not exactly what one finds in old fatwas that describes this relationship as a contract contains a lot of terms possible, some fair and some other unfair. When one reaches to the core content of the Qur’anic message can then renew these contracts and social norms, so that where equality is available, and where women a greater role and ensure the benefit of children. Of course we do not say that the Koran is unfair. But he explained in an unfair manner, and we call for the interpretation of a new or renewed interpretation in order to build contemporary Islamic discourse on morality. We believe that this is part of the core of Islam. You recently published a book on Islamic law and politics in countries beyond the Arab revolutions. What is your view of the conditions in these countries? The question of the application of Islamic law in countries such as Egypt, Tunisia and Libya chairing the agenda. The question in this context: what do we mean originally Islamic law? Do you mean the history of the Islamic Shariah or the values and objectives of Islamic law? If we mean values, goals and philosophy of Islamic law, so our conversation then for justice and freedom, what we call in the language of self-preservation law and the spirit, mind and birth control, money and determine everything related to the welfare of society. Ie if we knew Sharia in this way, we will be able to handle this approach with new laws and constitutions established by the people in their country in the Islamic manner. In addition there are a non-Muslim minorities in this part of the world. I do not want to lead the application of law to legalize their rights. However, the difference of religions exist on the ground, particularly in the area of family law, so I put many circles: Department of General should be where everyone equal rights and should not be exposed where a discrimination or different treatment because Matngah religious, and a special department decides where people under certain circumstances, and because of that debt is being handled differently. To what extent can you am تمضون these arguments? You must be a Muslim head of state in a country like Egypt, for example? I do not see any problem from the point of view of Islamic law in the run everyone, including non-Muslims or non-Muslims to the presidential election. Most legitimate views in the Islamic tradition did not allow it. However, they were not related to the position of President of the Republic, but the position of caliph. The heads of the republics in Libya, Syria or Egypt are not the successors and not their business to never let it. We have a nation-state her head, according to the basis of the nation-state, ie equality among citizens. And as long as the definition of the state will not change the president something essential. But is elected Egyptians actually president Copts? This is impossible, and also impossible to elect a German consultant Muslim or elected American president is a Muslim or a Buddhist. But do not come after Islamists Ptarifam private Islamic state, it is who decides whether a particular political system is “Islamic state” or not? Back: I think it’s important that there be an Islamic state in the sense of justice, freedom and equality for all. The Islamic label it as a modern, democratic or not important, it Splitter is what values. In this part of the world looks to equality and justice through Islamic understanding, and therefore can talk about “Islamic state”. Here also lies the importance of this research: Islamists demanding the establishment of an Islamic state in any case. Consequently, if we knew them in this way, so that compatible with human rights and citizens’ rights, etc., everyone has benefited from that. Not motivated by Islamic revolutions, but the pursuit of social justice and the like. If people elected Islamists now, they did so in order to bring them social justice. And I’m sure that if Islamists can not do that, you will not write them success in the upcoming elections.